We have the highest quality open style photo booth from our equipment to our props. We accommodate all heights, can fit large groups up to 20 in one session, and are also pet-friendly. We customize your pictures to fit your special occasion or use your logo to promote business. We also offer free web hosting of all pictures of event. We offer exclusive inflatable backdrops not offered anywhere else at no extra charge! Unbelievable Grand Opening Specials going on right now if you book your event with us before March 15!! Insurance: $1,000,000 - We are licensed and insured. 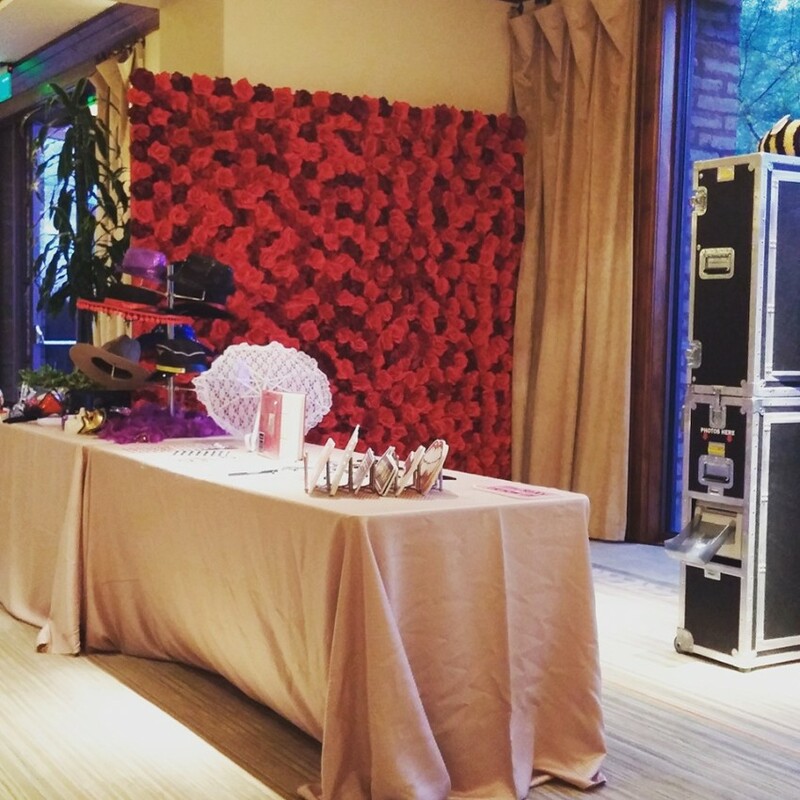 When you book with Pucker Up, you get to design exactly how your photo booth will look, feel and be designed. 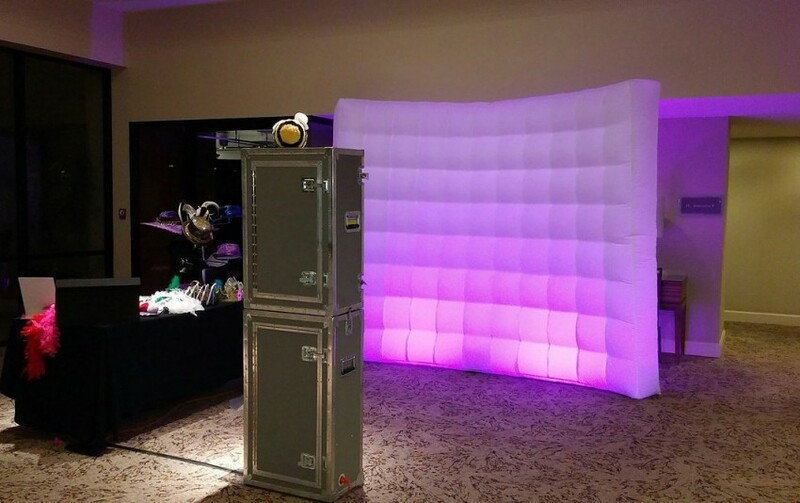 We travel to your location and set up our sleek and stylish booth with state of the art high quality equipment. You also get to choose which backdrop to have in your pictures, from white/black inflatable pillowtops, to black or blue velvet drapes, to customized themes, rose lace, and UofA backdrops all at no extra charge. We spend hours in our studio designing the layout of your pictures to include the theme, verbiage, and/ or logo that you want displayed on every picture your guests take home. Our booth packages start at a 2 hour minimum and can accommodate up to as many hours as you would like. The packages contain setup, breakdown, and on site attendants to run the booth, choice of background, theme, and print style, customized layout and template, unlimited sessions in the booth, and free web hosting of all event pictures. 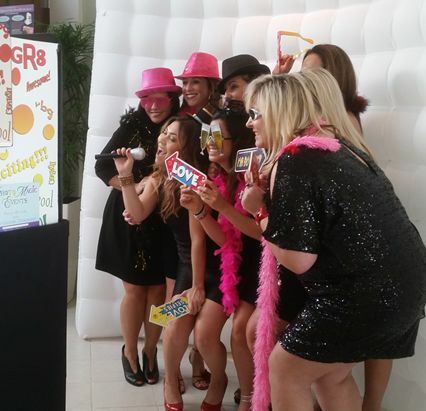 Our Photo Booth is open style so we can accommodate you and up to 20 of your friends in one shot. Our cameras are also adjustable so we can accommodate any height in the booth. Our attendants are trained at getting the best possible shot of every person that is in our booth which makes our booth more interactive, friendly, and fun! My name is Whitney Renee and I am the owner of Pucker Up! Party Photo Booths. I took over this business from my previous boss and company Bumblebee Photo booth, who is now retired. I worked faithfully with her for over 2 years and in that time developed a love for the photo booth business and the people I get to interact with on a daily basis because of it. Her dream has now become my own and I am committed to giving my customers the best possible photo booth experience to fully commemorate their special occasion and make it one to never forget. All prints are smudge proof, fingerprint proof, and water proof. Table and Linen, or one can be provided if not available.